A police officer should be remembered not by how he died, but how he lived! A great man has gone to secure a safe path for the rest of us to follow. Thank you to you, your family and the New York City Police Department. Our country is a little less safe without you. Rest in Peace Brother! May you Rest In Peace and start your watch in Heaven. Prayers to your family and partners. Hope that these senseless acts subside to peace within all communities. The Georgia State Patrol, Motor Carrier Compliance, and Georgia Capitol Police stand with NYPD. Prayers going up for the families of the officers in the wake of this act of senseless, cowardly violence. Thoughts and Prayers out to the officers family's and the Brotherhood they served with. Two young careers ended way to soon. My Deepest Heartfelt Sympathy goes out to Officer Liu's Wife,and entire family. May He Rest in Peace,as he patrols the clouds of Heaven! I grieve for you and your loved ones, and I pray that some good will come out of this madness. But no matter what, a life of service and sacrifice is never in vain. May you rest in peace, and thank you for the commitment of your life. I am heart broken for you and your family. Thank you for your service. Prayers to the entire blue family. Thank you for your brave service in the effort that good people might be safer. RIP brother. Fidelis ad Mortem. 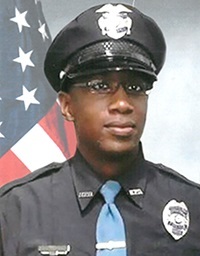 Our hearts are deeply broken once again by the loss of this brave and selfless officer. Words cannot convey our deepest sadness nor can the mind process the senseless act. Only God can sort out the sin that took the lives of these brave officers and changed forever, the lives of those who know and love them. 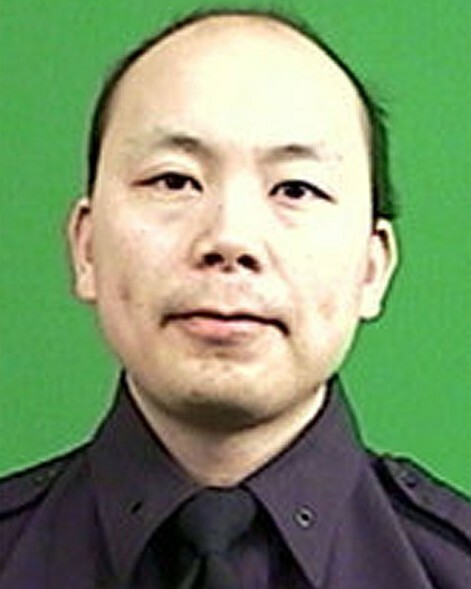 Thank You Officer Liu your sacrifice will NEVER be FORGOTTEN !!! Repose en Paix - rest in peace colleague. Police forces are a big family even accross the oceans. We all think about you and Rafael Ramos. we could be the next. rest in peace borther. Thank you for your selfless service Officer Rafael Ramos, you will NEVER be FORGOTTEN!!! Never has there been such hatred and danger towards Police Officers. Prayers and sympathy to the families, friends and Brothers iof Officers Liu, and Ramos. I walked the streets of Bedford Stuy and also worked Suffolk County P.D. before retiring. Irwin Aronofsky. My Heart and Soul are with the Officer's Families and the NYPD. R.I.P. Brother. Thank you for your dedicated service. May you find solace knowing that we stand as a Thin Blue Line. Men of peace and order are the basis of civilization and the world is a poorer place tonight. PO WENJIAN LIU MAY YOU REST IN PEACH. Rest easy brother we'll take the watch from here. Thoughts and prayers to the family of these two officers. Gone, but never forgotten! Our thoughts and prayers to your family. God Bless both Officers. My prayers for your Family's and the N.Y.P.D. The Family's lose is to great to bare. N.Y.P.D. lost two of their brothers. No words for pain that great. Godspeed Brother...word do,not explain the loss that our great Nation has endured. May your family and friends find comfort knowing you are walking the Golden Beat of Heaven. Rest in peace Brothers! You earned the right to wear the uniform; and through your sacrifice you proved your worthiness to be called "POLICE OFFICER!" May GOD bless, comfort and protect the families of these two courageous men. Two men who openly and steadfastly stood in the breach; knowing full well that death in the line of duty was always a real possibility; yet each man donned their uniforms anyway! Thank you, my Brothers; I personally believe that GOD has a special place in heaven for those who willingly gave their lives for others! Brother Officer Wenjian Liu and Brother Officer Rafael Ramos; we may have different biological parents; but we are members of the same family: POLICEMEN.... I salute you both, my Brothers!